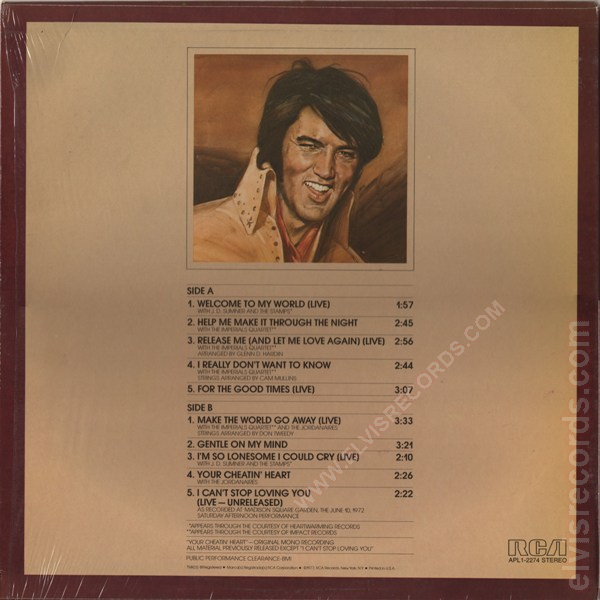 Cover Back: Picture of Elvis in center with song titles below and centered. RCA and catalog number lower right corner. 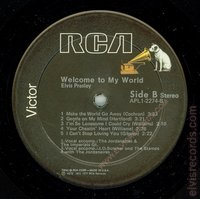 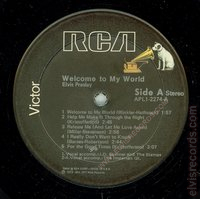 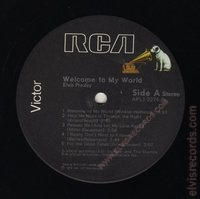 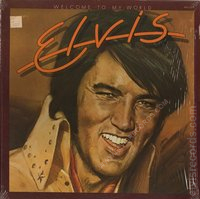 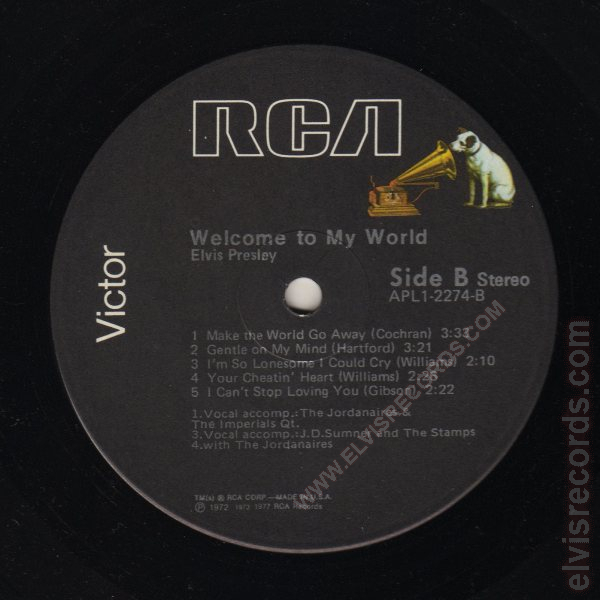 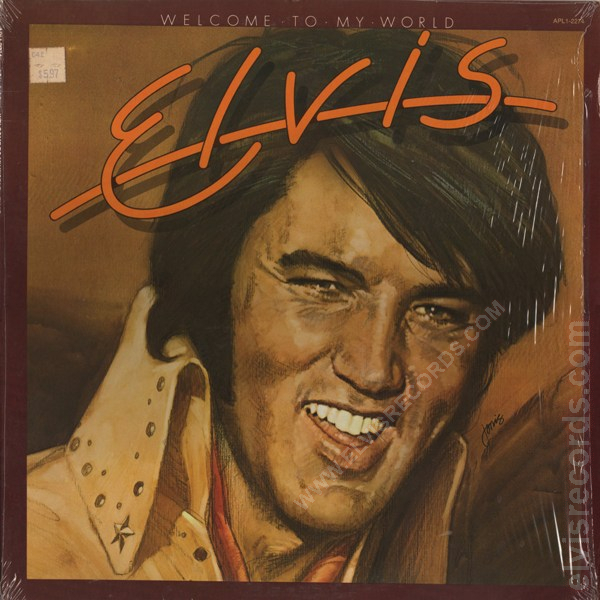 Re-released as AFL1-2274 Welcome to My World.